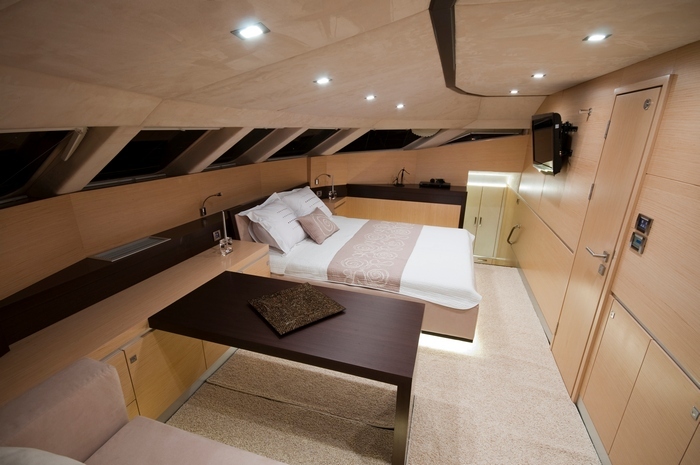 Sunreef 70 power yacht DAMRAK (Ex ANNA II) was built in 2009 and is 21,34m (70') in length and being a catamaran she has a large 9,1m (30') beam. 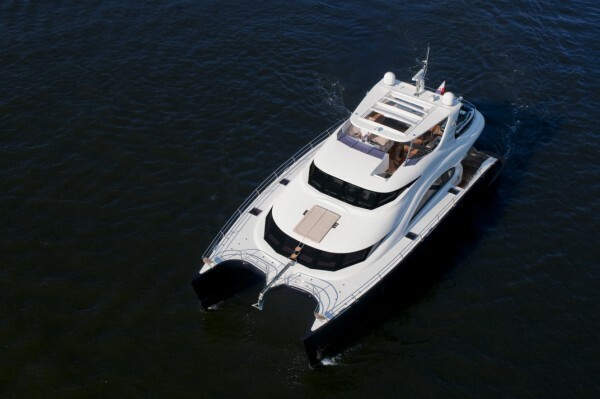 Available for luxury yacht charters in the Mediterranean and Caribbean the Sunreef catamaran is sure to provide an excellent base for an enjoyable yacht vacation. 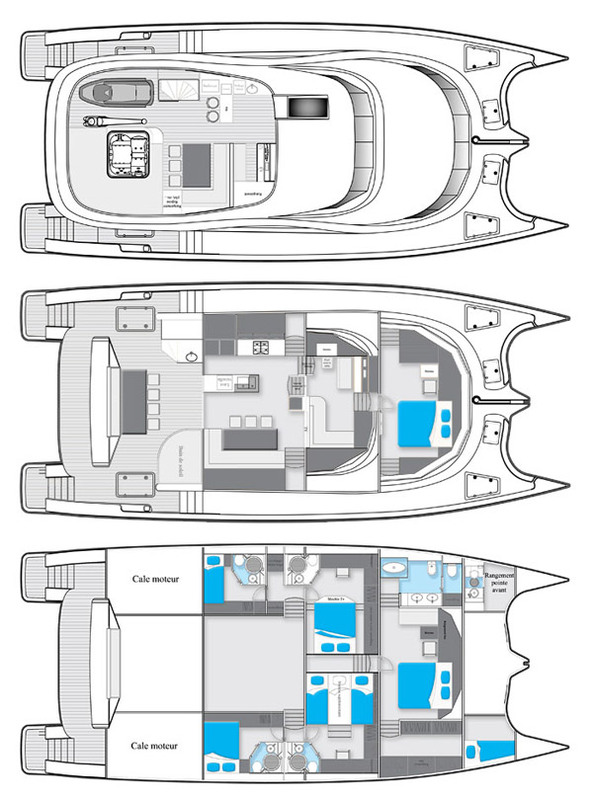 The Sunreef 70 ft power catamaran has been designed specifically for maximum space, functionality and stability. 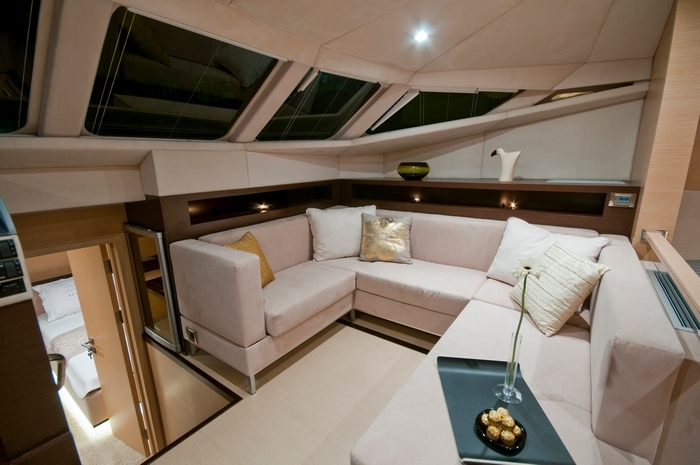 Motor yacht DAMRAK has two wide master cabins in her bow section with en suite bathrooms. 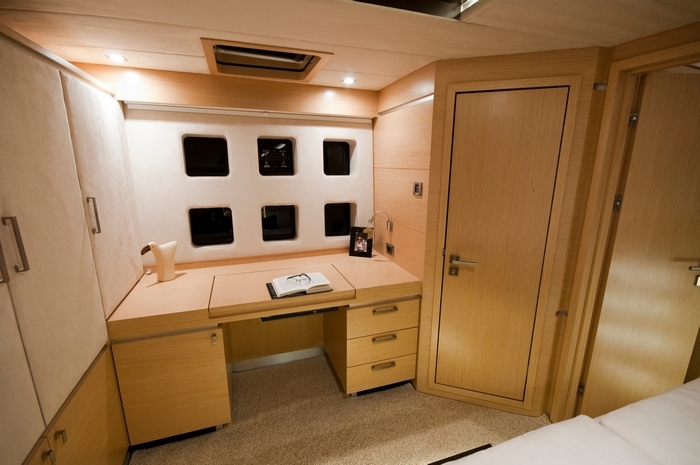 There are two guest cabins in the aft. 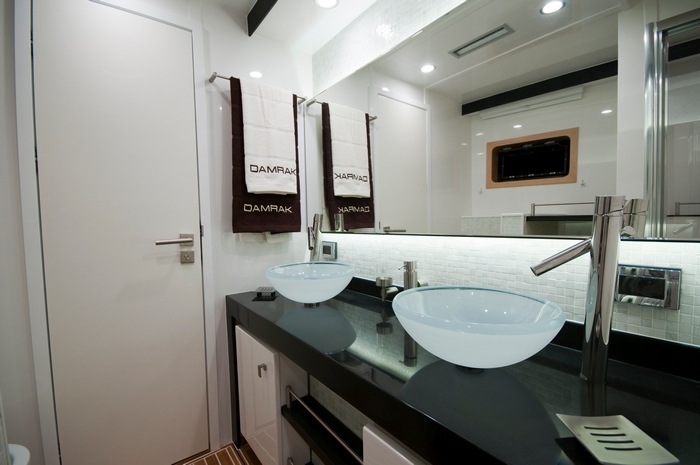 Both have double beds and an en suite bathroom. 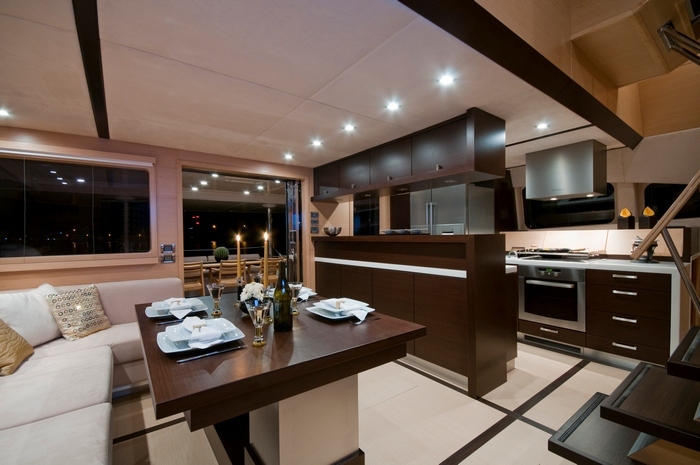 On the Sunreef 70 the galley and crew cabins are both located at a lower level within one of the catamaran’s hulls. 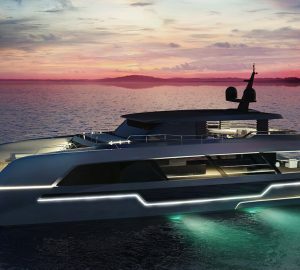 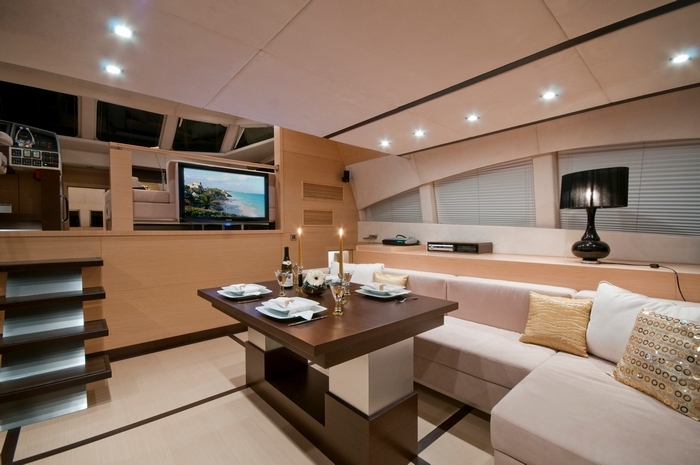 The catamaran motor yacht’s spacious saloon has been designed for entertainment and has large casual sofas and a dining table. 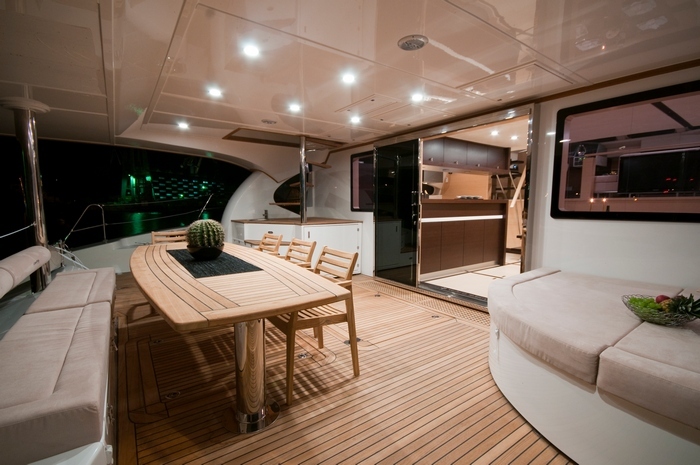 Her navigation charter area features an additional coffee lounge space and the navigation station itself. 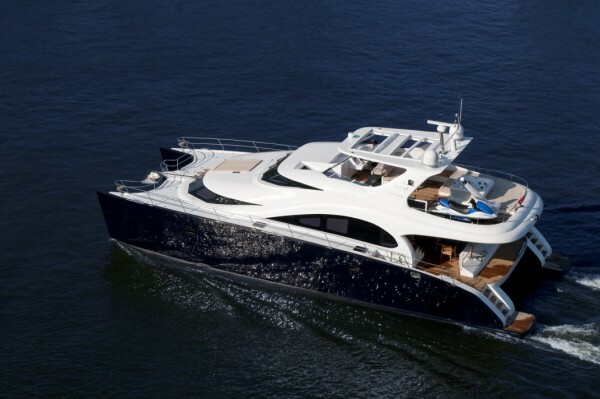 Being a power catamaran the Sunreef 70 provides yacht charter guests with an extremely wide sundeck / flybridge which is nicely covered with a rigid bimini cover for sun protection. 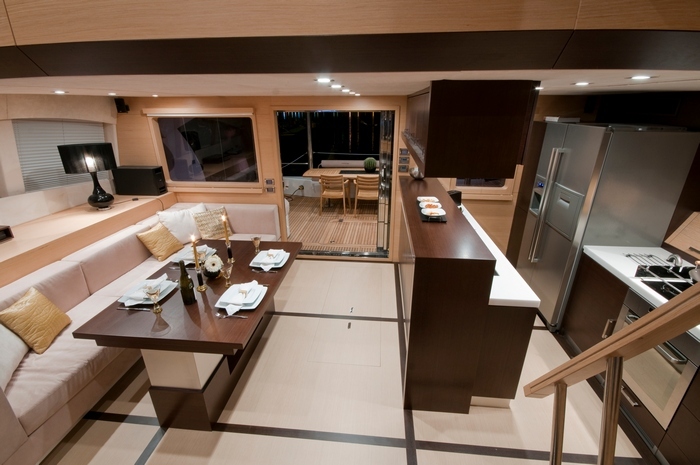 DAMRAK’s large flybridge also boasts a Spa Pool pool, a drinks bar with a barbecue and a good sized dining table. 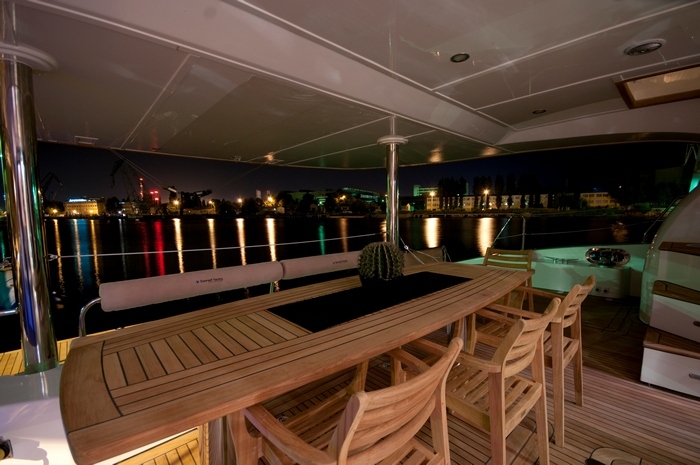 The sundeck on the Sunreef 70 power yacht makes an ideal place to spend evenings with friends and watch the sunset. 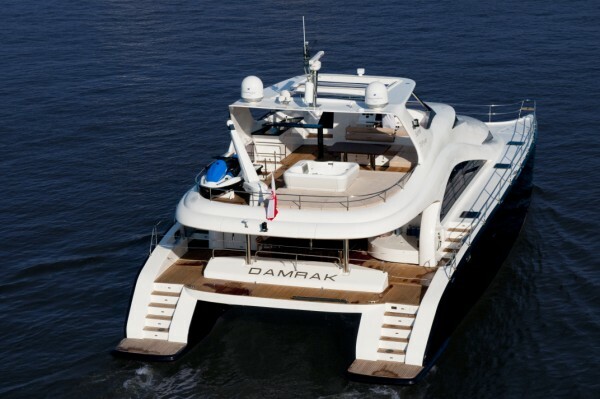 Motor yacht DAMRAK has the following yacht charter accommodation: - Number of Cabins: 4 Total Guests (Sleeping): 8 Total Guests (Cruising): 12 Cabin Configuration: ( 3 Double, 1 Twin) Total Crew: 3 Number of Beds: 5 Bed Configuration: (2 King, 1 Queen, 2 Single).